Publisher: Geoffrey Nevine December 08, 2018 This information is provided solely as a guideline. Who says sweet potatoes are for baking and casseroles only? 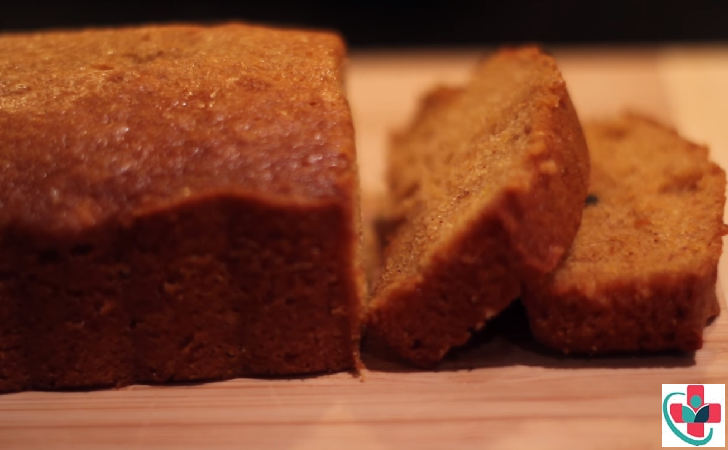 This Cinnamon and Spice Sweet Potato Bread will prove otherwise. Moist, spicy, sweet, and delicious! Preheat oven to 350°F. Spray one 9-by-5-inch loaf pan, or two 8-by-4-inch loaf pans, or a 10-cup Bundt pan, or a muffin pan with floured cooking spray or grease and flour the pan(s); set aside. Peel the sweet potatoes and chop them into 1-inch sized chunks. Place chunks in a large, shallow microwave-safe bowl. Add 3 tablespoons water, cover with plastic wrap, and cook on high power for 15 to 17 minutes, or until potatoes are very fork-tender. Pour off any water. Mash sweet potatoes with a fork. Allow them to cool momentarily so you don’t scramble the eggs. In a large mixing bowl, combine the dry ingredients – flour, sugars, baking soda, cinnamon, ginger, nutmeg, allspice, cloves, optional salt, and whisk to combine. Pour the wet sweet potato mixture over the dry ingredients, and stir to incorporate. Take your time stirring until no stray bits of dry ingredients are visible, folding and scraping the bottom of the bowl with a spatula as necessary because it’s very easy to miss dry ingredients hiding at the bottom of the bowl in this batter. Stir and fold with a gentle hand as to not over-mix and over-develop the gluten, which results in tougher bread. Turn batter out into prepared pan(s), smoothing the top lightly with a spatula. Bake for 60 to 70 minutes for a 9×5 pan, or until top is domed, golden, a loaf is springy to the touch, and a cake tester inserted in the center comes out clean. Allow bread to cool in pan for 10 minutes before turning out onto a wire rack to cool completely. Bread will keep at room temperature for up to 1 week.